The New York Times headline kind of says it all, Jeb Bush Bows Out of Campaign, Humbled and Outgunned. 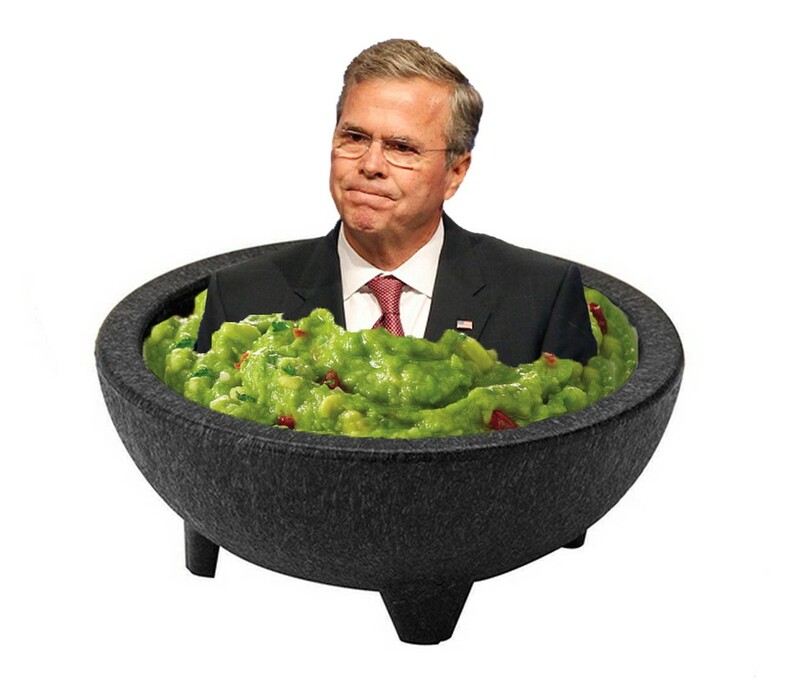 I’ve written a lot about Jeb as an unstable, unprepared, and unserious candidate, so I’m not sad to see him go. So if anyone wonders if his master plan of winning the nomination without the base was working, the answer is clearly no. Despite (or maybe because) the fact he never would have won against Hillary, even if she ran her campaign from a jail cell, he was declared the front runner by the media, and continued to consider himself the front runner, even after Trump exploded the primary race and his numbers fell. He never made a compelling reason for his campaign and in spite of a media generated image as a deep thinker and policy wonk, was incoherent and contradictory, such was when during his book tour on immigration, he contradicted in an interview the main thesis of his book. Just a word of advice, if you are a politician and have a book ghostwritten, you should at least read your own book. And who can forget when it took him five days to answer a question about Iraq, the most obvious question he should have expected upon entering the race? And this was supposed to be the smart Bush? Well he can now slink back to Miami where he can turn off all English language media, and he and Columba can sit around and try to figure out what they are going to do with all of those left over guac bowls. My whole TV world changed a few weeks ago when my wife came home from work and announced that she was going to drop Cable and go to Direct TV. I had always been suspicious of Direct TV since I assumed weather would be a factor in viewing far more than was the case with cable. And I was never sure how much weather would make a difference. However television service was one of those responsibilities I had delegated to my wife so I had little choice but to go along. So far, it’s not a disappointment. In fact, the advantages seem to outweigh the disadvantages by a considerable amount. With an 800 hour capacity DVR, I’m taking advantage of 3 months of free premium channels to pack it with a year’s worth or more of movies. And the interface and system seem to be far more modern than what I had with cable. Being able to be in my office and watch something recorded on the DVR is an advantage I didn’t know I needed until I got it. What a convenience! 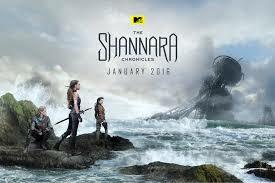 MTV, yes, that MTV, has a new fantasy show called The Shannara Chronicles. It’s based on series of fantasy books which I’ve never read, but it has all of the usual elves, trolls, and so forth, but the hook is that it takes place in a future post apocalyptic Earth, not some other world like Middle-Earth or GoT. I’ve watched a couple of episodes and I like it. The show is filmed in New Zealand so the scenery is gorgeous. But what is really surprising is how good the digital and costume effects are. I didn’t expect this kind of quality effort from MTV. As for the show itself, it strikes me as Lord of the Rings meets the CW; hot elves flirting and dating while demons threaten the world. Maybe they should have called it Shannara 90210. Yes, it’s Supergirl, played as a romantic comedy. There is the hot guy Supergirl desires, Jimmy (excuse me, James) Olsen, who is dating someone else, and there is the friendzoned work friend, who wallows in his self pity, but he is such a good friend that Supergirl would never want to change what they have. So yes, you have seen this movie before. However the show does have its own charms. Calista Flockhart plays Supergirl’s media mogul boss Cat Grant with a hypercharged, manic gusto. All words I would never have thought to use in relation to Calista Flockhart. But the selfish, driven, work-is-all boss with the secret heart of gold probably gives the show its best moments. Will a Superhero themed romcom attract the woman viewer? No idea. 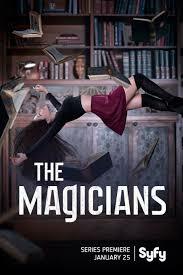 The Magicians is a new Syfy show that can best be described as Harry Potter goes to Graduate School, because that’s the setting of the show, a secret, magical grad school hidden away in upstate New York. The magic seems a little less ridiculous, although still magic, and it’s treated like alcohol or drugs; enjoyable but potentially addictive and very dangerous if misused (and it’s misused often apparently). The problems are more adult; or perhaps specifically young adult. Finding your place in the world and of course relationships seems to drive a lot of the action. There is even their own version of Voldemort; “The Beast.” Apparently Brakebills University has a similar policy as Hogwarts; keep every threat and danger secret even when people start dying. Nothing says school administrator like keeping everyone in the dark. I give this show two and half wands. 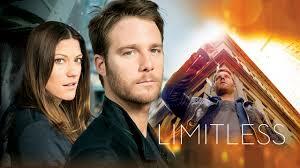 Limitless is not only based on the movie of the same name, but it’s more or less a sequel to it. Bradley Cooper, who was the star of the film, has a recurring role as his movie character, now Senator Eddie Morra. The new victim/recipient of the brain enhancing drug NZT is Brian Finch, a loser wanna be musician, who comes across NZT, likes it, and stumbles across both the FBI and Senator Morra. Since the film, Morra has figured out a treatment to prevent the mental and physical decline from prolonged NZT use and offers it to Brian if he will be a mole for him inside the FBI. The FBI wants Brian because they think his Morra supplied treatments are a natural immunity, so they hire him as a consultant, both to study him to see if they can reverse engineer his immunity to the deleterious effects of NZT and take advantage of his NZT enhanced IQ to solve cases. This show really works because Jake McDorman, who plays Brian, is exceedingly likable. He plays Brian as basically a good guy who is forced to spy and betray his new FBI friends. He’s also one of the few regular pot smokers on network TV. His bong is a prominent accessory of his apartment. You don’t usually see that in a crime drama. The show’s breaking of the 4th wall makes this different from most shows on TV and fun to watch. I ended up liking this show much more than I thought I would. It’s fun. If I were to cram every childish, pulpy thing I liked into one show, I couldn’t have done a better job than DC’s Legends of Tomorrow. It has superheroes, it has time travel, and it has a super villain. I mean, that’s one delicious stew. And it’s all sitting in the same universe as Arrow and The Flash. It’s not surprising since many of the characters are side characters borrowed from those two shows. The premise is, 150 years from now, an immortal super villain, Vandal Savage, conquers the world, so Rip Hunter, one of the “Time Masters” decides to go back in time to stop him from ever getting that far. To do that, he goes back to 2016 to assemble a team of heroes and villains from the Arrow/Flash universe to travel in time with him to stop Savage before he gets to conquer the world. Well, I did say it was childish and pulpy. But it’s also fun too. 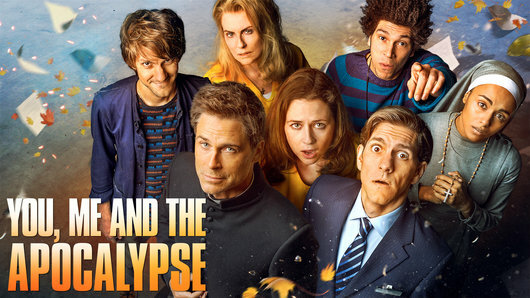 One of my more oddball shows that I’m trying out is You, Me, and the Apocalypse. Now I love a good Apocalypse, and TV and movies have often tried to put a comic spin to the idea with movies as diverse as Night of the Comet,and Zombieland to This is the End, and Seeking a Friend for the End of the World. Not to mention TV’s Last Man on Earth. With 34 days to live before an asteroid renders Earth uninhabitable, a diverse group of people worldwide end up following paths that will somehow cross…I’m not sure how but the show is throwing out clues left or right. With a great cast (Rob Lowe, Jenna Fischer, and Megan Mullally) and a tight, well written script, this show is growing on me. And Megan Mullally as Leanne, an escaped neo Nazi prisoner on the run with housewife and Librarian Rhonda (Jenna Fischer), provides some of the shows funniest moments. The word for this show is intriguing. I’ve not seen anything quite like this on TV before and I like it. Another new show I’m kicking the tires on is Second Chance. Just a guess, but I don’t think this show is going to be around too long. The premise is that a grumpy and disagreeable retired Sheriff is murdered and brought back to life by a Google like company run by twins, one of whom is dying of cancer. So after conventional treatments fail, just bring someone back from the dead and use their blood as an anti cancer treatment. Pretty standard medical procedure right? The entire bringing someone back from the dead angle sounds totally implausible. And I mean by Science Fiction standards. People come back from the dead all the time in science fiction and fantasy shows, but it’s either with “magic” or some sort of semi plausible technobabble that sort of, kind of, makes sense. Not this time; it’s just technobabble. Maybe if I could like the characters more, I could get pass that. But so far, only the tech genius twins seem likable. There are those who might think I’ve bitten off more than I can chew in TV watching. Maybe some critics might think I’ve let the hubris of an 800 hour DVR cloud my thinking on what’s practical to watch. Only time, and a full DVR can say for sure. On paper, this does seem like good news for Republicans. Certainly the divisive Obama years have eliminated almost the last of the Blue Dog Democrats and gave the Republicans their largest majorities in the House and Senate since before the Great Depression. At the State level, Republicans have made a 900 seat gain in State legislatures since 2010. In strictly office holder terms, the Obama years have been good for the Republican Party. So smooth sailing to November 2016 right? I noticed two anomalies on the map that struck my eye. First Florida. Since it’s my home State, I have a familiarity with the state that may not show up in polling. First the obvious: Florida went for Obama twice in a row; in 2008 and 2012. Is there something that’s going to break that pattern? A lot of things could, except that the State used to be a red State, now, according to Gallup, it’s “competitive.” But there are trends that are moving Florida from red to blue, and that’s demographics. As NPR helpfully points out, Puerto Ricans have been pouring into Florida. Although it’s part of a long term trend, it’s exacerbated by the financial crisis in Puerto Rico. Although Puerto Rico can’t vote in a Presidential election, Puerto Ricans can, the minute they leave Puerto Rico. And again as NPR hopefully shows, Puerto Ricans predominately vote for Democrats. 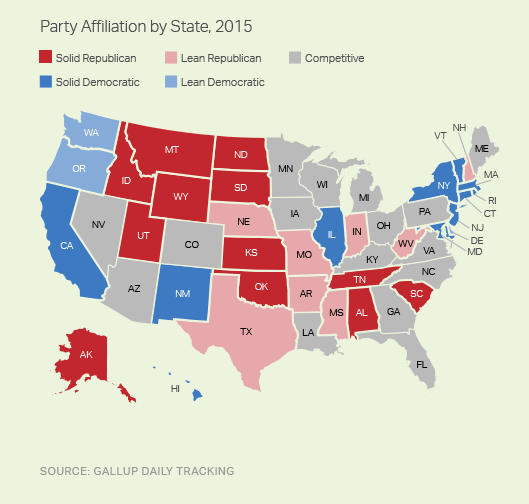 And secondly, just looking at that State map from Gallup, when did Texas go from solidly Republican to leaning Republican? I wonder what could be causing that? Demographics maybe? Texas has 38 electoral votes. Once that State moves from leaning Republican to “competitive” it makes a Republican Presidential win extremely “problematic” as a leftist might say, no matter how many State Houses Republicans win. There is a big difference between the number of people who show up to vote in the mid-terms and those who show up in Presidential years. Based on the numbers I’ve seen this morning, turn out for this year was even lower than in 2010, which was another big Republican year. So you have a 76 million voter turnout for this year, but in 2012 you had 129 million voters. That’s about a 50 million voter difference between the midterms and the Presidential voting years. So all things being equal, we should see Democratic Presidential wins from here on out. Of course, I caveat that by saying that sometimes all things are not equal. Wars, terrorism, or a financial crisis could flip the script; as could an off the wall Presidential candidate that has cross party appeal. But Republicans shouldn’t take much comfort that some there are more red States on a Gallup map now. That sort of information, like Hillary Clinton’s support, is miles wide but merely inches deep.